We’ve got spirit yes we do! 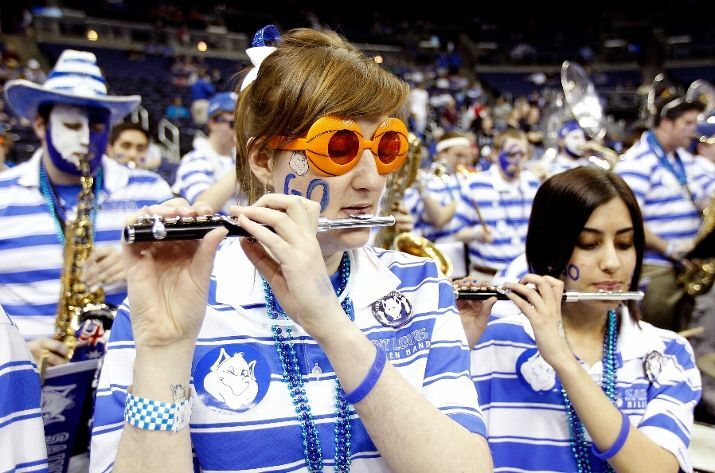 We’ve got spirit, how about…this SLU band girl ESPN photographed last week?! We were going to say “Judging by those glasses and the face paint, that flute is the only thing she’ll be blowing until 15 years from now when some EMT that digs her out from under her pile of cats a gives her a little pity throw.” …but then we noticed the fully face-painted sax guy in the background. OMG you just know they’re totally doing it!